What style of room do you think of when you picture a polished concrete floor? A modern living space, a utility room, an office reception? Chances are you’ll have your own ideas about what sort of space a polished concrete floor suits, but have you ever wondered whether this modern flooring would work in your home? With over 20 years in the flooring industry, we’ve fitted many different floor coverings in homes and businesses across the UK. We also work closely with architects and designers of high end retail and interior projects, so we know what works and what doesn’t. Modern interior design these days is all about smooth lines and calming tones, so polished concrete floors fit the bill perfectly. 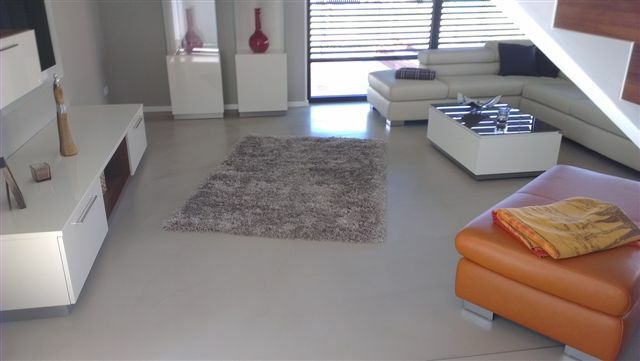 Polished concrete floors are relatively new to the domestic market and give homes a chic, luxury look and feel. This modern flooring looks fantastic in a minimalistic setting and can really bring a room to life. Add a touch of colour to the walls and stylish contemporary furniture for a room that will be the envy of all your friends and family. You don’t need to have a minimalist house with a modern interior design theme running through it though. A beautiful country cottage with a thatched roof and exposed beams would perfectly suit a polished concrete floor; imagine a rustic-looking floor running through the hallway and the kitchen, complementing the natural environment. Art Deco homes can be given an extra touch of glamour with a polished concrete entrance hall too. A stylish, seamless floor can be laid from the front door, up the staircase and across the landing, glistening in the light if you opt for that style of finish. But what about the every-day family home where kids play and run amuck? Is a concrete floor a practical choice as well as a stylish one? Yes. Because it’s concrete, it’s incredibly durable, so doesn’t dent like wood or thin like a carpet. It’s also very easy to maintain, so any dirty footprints or traces of bringing the dog in after his walk will be gone with a quick wipe. If your family loves a cosy feel to your home, install underfloor heating to give rooms that homely warmth during winter, or add a large natural fibre rug to really bring the rustic style of the floor to life. As approved installers of Ardex PANDOMO®, we can offer you an abundance of style and colour variations to perfectly suit your room, no matter what its architectural style. We love creating inspirational living spaces with polished concrete floors and we’re proud to be leaders in this modern flooring movement. 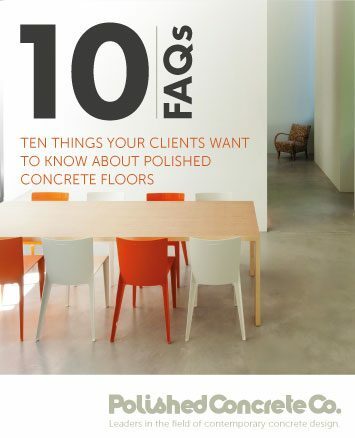 If you would like to find out more about laying a polished concrete floor in your home, visit us at our showroom to view a selection of sample floors, or contact us for a free quotation.